The TED website is a great source of talks by interesting and inspirational people. TED stands for Technology, Education, Design. The video production is minimal, and that is probably an overstatement. 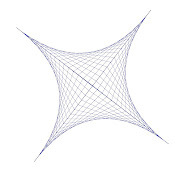 However, the focus is, therefore, entirely on the presenter and is, in a way, refreshing. 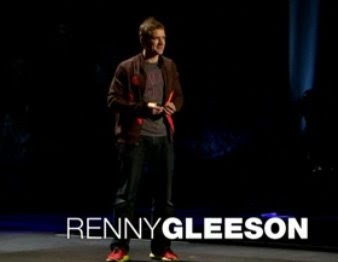 In this presentation, Renny Gleeson, talks about the way we socially interact with cellular devices. I dedicate this to all teachers who struggle with monitoring cell phones in the classroom. Compared to the examples that Mr. Gleeson presents, with the exception of the guy on the motorcycle, our students have these people beat in creative, sly methods of using the cell phone. A brief list of a dozen ways that students can be sly using the cell phone. All of these examples are actual accounts*. 2 Under the desk - one of the most common methods of texting. This one can be detected quite easily because the students don't realize that even though THEY cannot see the phone, the teacher can. When caught, act like the teacher is seeing things and claim she is nuts. 3 In the desk - used in middle and elementary schools where the administrators made the mistake of ordering desks with 'cubbies'. This is much more effective than the 'under the desk' method, even though the students are usually younger. Fortunately younger students don't always think to claim that the teacher is nuts. 4 In the front hoodie pocket - teachers should be suspect of all students wearing hoodies with front pockets. If they don't, they are nuts. 5 In the saggy, baggy pants pocket - teachers should be suspect of all students wearing saggy, baggy pants, especially since they are outmoded and no teenager concerned about his image would be caught wearing them. Any student with hands in the pockets for a sustained duration of time should be suspect, otherwise the teacher is nuts. 6 Switch the cell phone for an mp3 player when caught - then when sent to the dean, blame the teacher for allowing mp3 players in class on special occasions and claim to be confused about the classroom rules. The dean thinks the teacher is nuts for allowing mp3 players on special occasions. 7 Carry two phones then when discovered using the phone swap the working phone for one that doesn't work - then when sent to the dean, claim the teacher is nuts. 8 The calculator excuse - when caught in math class, claim to be using the calculator function. Act like the teacher is nuts when she doesn't buy the logic. 9 What time is it? - when caught, in any class, claim to be needing to check the time (even though at least 90% of the time a student can see the classroom clock). Then act like the teacher is nuts for not buying it. 10 Claim that you were using the cell phone as a 'translation' device - take the Spanish teacher's cell phone out of her purse and then when caught and sent to the assistant principal, and in the presence of your father who has been called to the school, claim that the teacher always lets the students use her phone as a translation device, and of course that is why you are justified to have removed it from her purse. Act like you are the only sane one and everyone else is nuts. 11 Feign ignorance - when caught, by the teacher, while using the cell phone, the student feigns complete innocence and claims the teacher is completely nuts, because she obviously imagined things. When using this method, a student will try to turn the phone off so the teacher can't check the texting history. 12 Actually use the cell phone for an mp3 player - used on that special occasion when the mp3 player is allowed (see #6). *These methods work because, unlike my generation, the students are able to text without looking at the key pad. I haven't found a correlation between a students grade in class and their skill in using the cell phone. 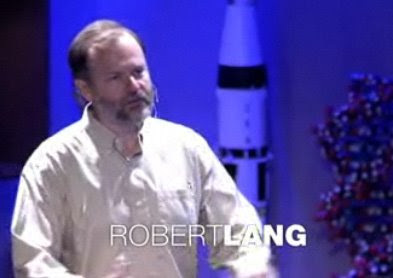 In his TED talk, Robert Lang discusses folding beyond paper cranes, taking origami to new heights using mathematics. Visit Robert Lang's website to see his paper art. 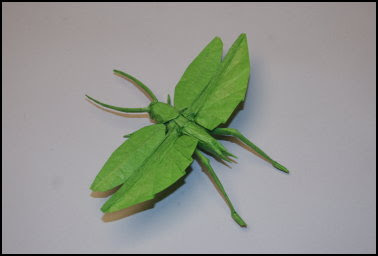 The site provides folding patters for pieces such as this 'Flying Katydid'.